I’m a patient person, I really am. But the wait for a male hair dye company to come out with some decent packaging is seriously beginning trying my patience. I know I was moaning about how bad the TV adverts are for these products last week but I think I was actually missing the point – the problem starts with the packaging. The thing is, when I buy a pair of Calvin Klein briefs it’s because I fancy myself looking like the man on the packet. In a moment of (admittedly rather tragic) body dysmorphia I see myself as that man with the six pack and eye-popping bulge. Most men do. 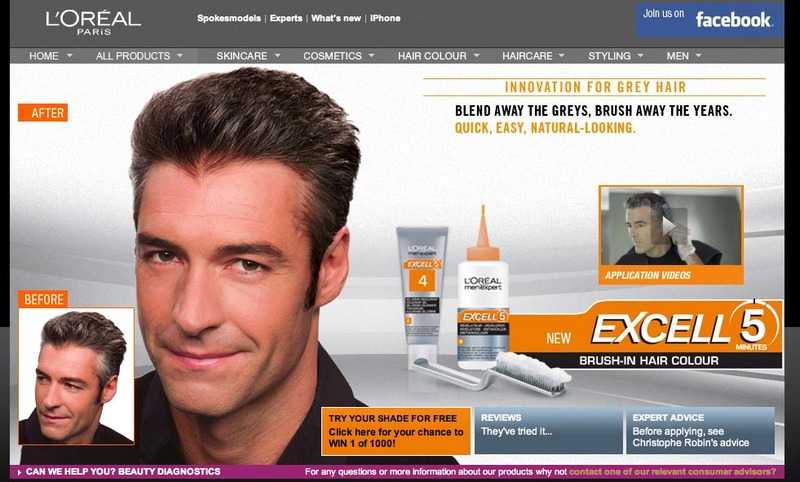 So, if I’m a man scouring the shelves in Boots for a product to disguise my ever increasing grey hairs do I come across L’Oreal’s Excell 5 and really think “Blimey, I wish I looked like that man with the bouffant hair and pink lipstick?” Or do I look at a Just For Men packet and think “Wow, if I used that product I too could look like a cheesy American version of Nick Clegg!” You know the answer and so do I. Sadly, I suspect the poor UK marketing peeps at both these companies know it too. The problem is the head honchos in Paris, America or what other foreign land they originate from don’t. Thank goodness, then, that Trevor Sorbie has a clue. 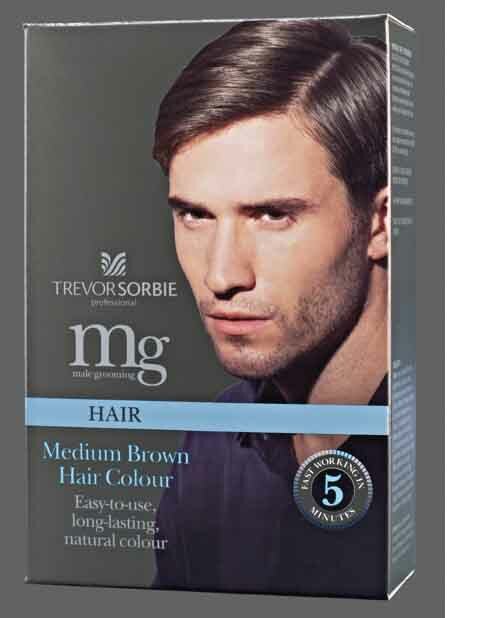 His hair dyes for men are the only ones I can find that actually feature blokes you’d remotely want to emulate. 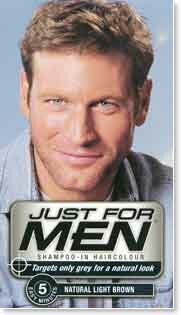 Okay, so I’m never going to look like the guy on the pack but at least he’s attractive and vaguely approachable. And look, not a hint of lipstick in sight! Oh goodness, Trevor Sorbie man is really quite easy on the eye. The L’oreal one is hilariously cheesy. If it’s any consolation, their website for the new salon dye, Inoa, is even cheesier, and that’s aimed at ladies.